Sit on View Mount Road at Glen Waverley, Victoria Police Academy has a gorgeous and epic chapel for your wedding ceremony. With a huge capacity to sit 500 people when you say “I Do” in the main chapel, It is a truly hidden gem for the gorgeous and epic weddings. People may consider holding the wedding ceremony at Victoria Police Academy Chapel need someone in your family served a police officer, that is not right. This place is actually can be utilised to the general public, just with a bit paperwork to fill. As a wedding photographer who shoot a fews weddings at Victoria Police Academy Chapel before, I have to say this place is amazing for wedding photography. Inside the chapel, the high ceilings, the stained glass, the white wall, the spacious walking aisle and altar are all wedding photographer’s favourite. When you haver a bit time after the wedding ceremony, we can walk out of the chapel and have some Romantic and Epic Wedding Photography Outdoor. 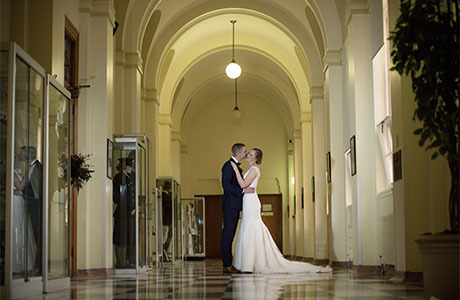 The historic buildings, the manicured gardens and the fountain are just a few place for the wedding photographer to create some artistic wedding photos. 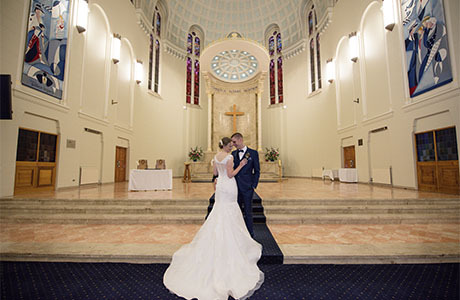 Should you have any questions to plan a wedding or wedding photography at Victoria Police Academy Chapel, please do not hesitate to Contact Us for the suggestions and information from a Melbourne wedding photographer’s perspective.